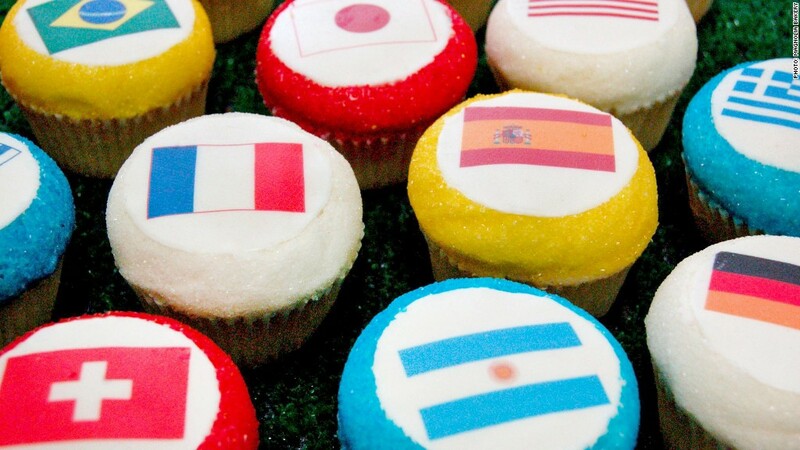 Magnolia Bakery has been cheering the World Cup with its World Cup-cakes, representing 11 different teams. Who cares if they aren't in Brazil? Some U.S. businesses are cashing in on World Cup fever to score higher sales at home. Commemorative cupcakes, stadium horns known as "vuvuzelas" and soccer ball-shaped stress relievers are just some things that small businesses are pitching to customers. Magnolia Bakery, a popular New York cupcake chain, hit on a winning idea with their "World Cup-cakes," which feature edible images of 11 team flags, said Sara Gramling, a spokeswoman for the bakery. Although Gramling wouldn't disclose sales figures, she said orders for the specialty cupcakes have been "drawing a lot of interest," both from individuals and for corporate viewing parties. "We've seen an uptick [in] orders placed the day before matches, with requests for one dozen or more cupcakes [per order] for the teams playing the following day," said Gramling, adding that Sunday's U.S. vs. Portugal match was a big one for cupcake sales. The company created New York Rangers cupcakes during this year's Stanley Cup playoffs, which "were a huge hit with fans," said Gramling. So when the World Cup started on June 12, all of Magnolia's seven U.S. locations and six overseas stores have been selling World Cup-cakes, which cost $5.25 each, about $2 more than Magnolia's regular cupcakes. Gramling said cupcakes featuring the U.S., Argentina and Brazil flags have been particularly popular. "We'll certainly consider doing this next World Cup, too," she said. Alas, vuvuzelas, those noisy stadium horns that gained notoriety during the 2010 World Cup in South Africa, were banned from matches in Brazil. The news initially caused some concern at The Print Box, a Long Island, N.Y., company that has been selling its $2 to $4 stadium horns for the past 10 years in the U.S. and in Canada. "We were a little nervous that if TV viewers here didn't see fans holding them at the matches, it would hurt demand for our vuvuzelas," said Jeff Huvar, digital marketing adviser with The Print Box. While sales are a bit softer this time around, Huvar said they're still expecting a 500% increase in stadium horn sales from October 2013 (during the World Cup qualifiers) to the end of July, compared to the same period a year ago. Orders, typically a few hundred at a time, are coming in from corporations and soccer tournament organizers around the country. To boost visibility, The Print Box has also has made a significant investment in Google (GOOG) advertising. "We budgeted around the World Cup to use Google AdWords as effectively as possible," he said, adding that the firm was spending about $20 a day to target phrases like "wholesale stadium horns" and "soccer stress balls," another hot item for The Print Box. Huvar said they've already sold 2,000 of their $2 to $3 soccer ball-shaped stress relievers. 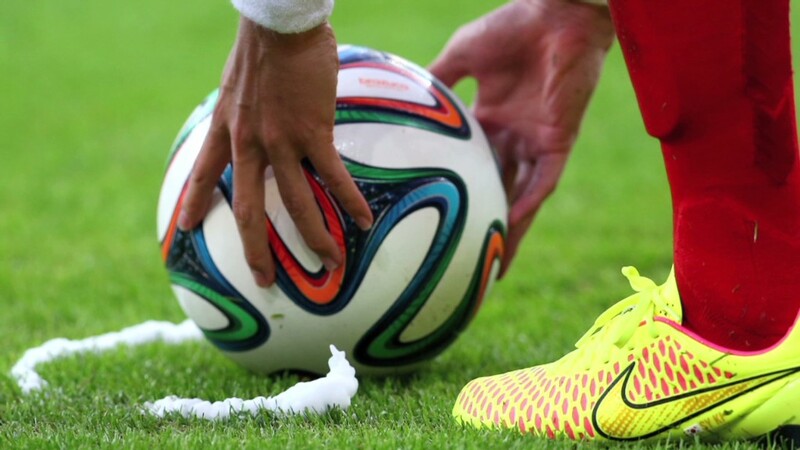 Bars and restaurants are also vying for a slice of World Cup business. The Fado Irish Pub in Washington D.C.'s Chinatown is no exception. In fact, it's become the unofficial headquarter for local embassy staffs, said owner Greg Algie. The pub typically sees sales increase during the World Cup, but this year, they've been even higher: Sales are up 30% to 40%, which Algie credits to the timing of the matches. "Many people are leaving work early to catch the late afternoon games here," he said, adding that the pub is filled to capacity during matches. To make their trip worthwhile, Fado has created match day menus and drinks and is offering a million-dollar bracket. The bracket, which is a new initiative, already has a few thousand people signed up. "Our goal is to have 4,000 to 5,000 people participate," Algie said. "The World Cup is the Holy Grail for us. We're always looking to capitalize on it."